Duke has landed four of top-10 rated high schoolers - Celtics 2019 draft? Duke Coach, Mike Krzyzewski, certainly has the recruiting savvy most college coaches dream about. 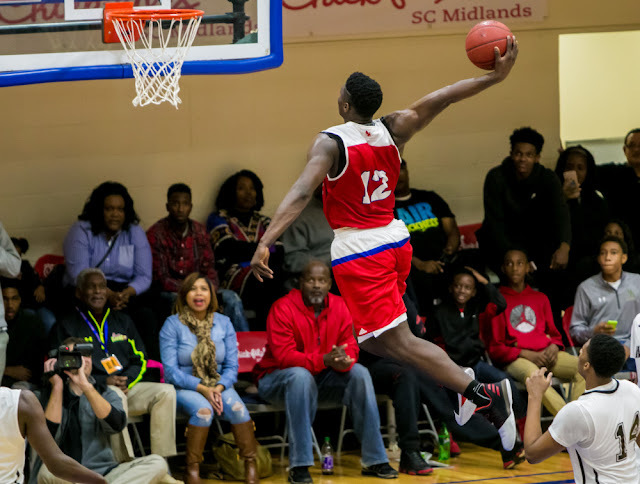 Now having landed Spartanburg Day's (SC) Zion Williamson, next season's Duke squad will feature four of the top 10-rated high school basketball players in the country. What does this mean for Duke? Well, a lot of skill on the court at once. Duke boasts the top three players in the Class of 2018, and the No. 8 recruit in the country as well. Just like this year, Duke will have a lot of offensive firepower with Williamson, R.J. Barrett (6-7, 200 pounds), Cameron Reddish (6-7, 211 pounds) and Tre Jones (6-2, 175 pounds). The latter three all signed with Duke during college basketball’s early signing period. Duke likely won’t be the inside-out team it is this year. This year, Duke looks for its two big men in the post – Marvin Bagley III and Wendell Carter Jr. – and works its way out. The four players Duke has grabbed in this class can handle the ball really well. All are 6-7 or shorter and play the wing. So next year’s team will likely start outside and then move in. A lot of highlights, huge dunks, and continued sold out crowds. Again, Williamson is one of the most electrifying players in the country. He said in a blog last year for USA Today, that Duke’s coach Mike Krzyzewski told him that he would play him like he did NBA superstar LeBron James in the Olympics for Team USA. During the 2012 Olympics in London, James started with Kevin Durant, who both play the same position in the NBA, and played the stretch-four position. He was one of Team USA’s top players in 2012 en route to a gold medal. Williamson’s athleticism cannot be matched. You’ll likely see a lot of alley-oops to Williamson, Barrett and Reddish, and a lot of sold out crowds on the road too. The Lebron James comparisons are often overused, as is seen in the above analysis. Zion looks more like a younger version of Charles Barkley. He carries a lot of weight (roughly 270 pounds) but handles it well. The potential 2018 Celtics pick via the Lakers now sits at number five. Even if this pick comes to fruition for Boston this year, three potential first-rounders are still in the cards for 2019. There are 18 days remaining prior to the NBA trade deadline. This can all change soon.